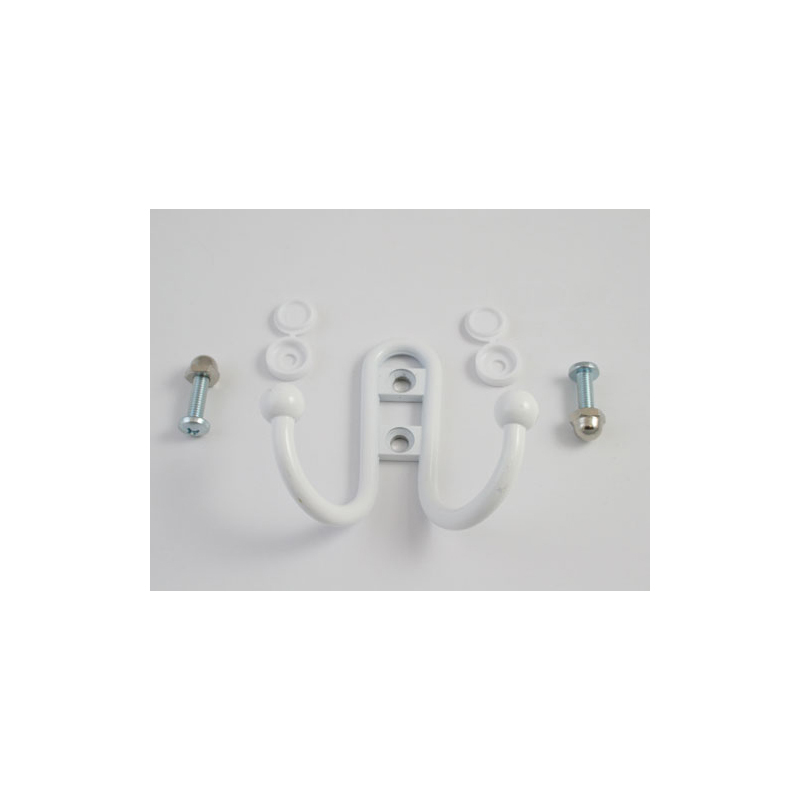 This dressing room double hook is mounted to the inside dressing room panel on the right hand side. Note: The hole pattern is different. Hardware is included to plug remaining hole.